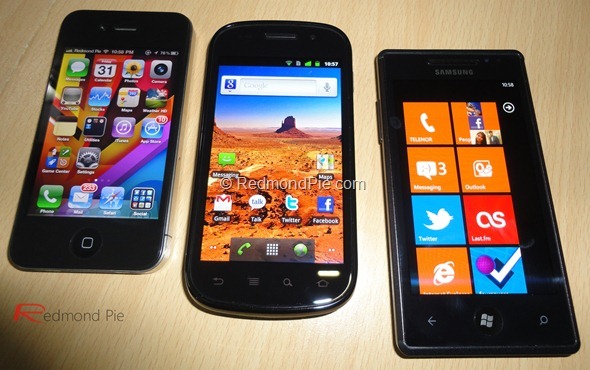 A new report from Digitimes claims that the next-generation iPhone 5 will feature a 4-inch display to take on Android-powered phones head-to-head as the battle for the supremacy in the next-gen smartphones heats up. They have received this piece of info directly from the component suppliers. The component suppliers noted that the production lines for Apple’s next generation iPhone have begun testing, and Apple is interesting in expanding the screen size to 4-inches to support the tablet PC market as the vendor only has a 9.7-inch iPad in the market. Another report from the same source claims that iPhone 5 will sport a faster A5 processor (Dual-Core perhaps?) to take on the likes of recently announced Samsung Galaxy S II, while the iPad 2 will feature an enhanced version of the current A4 chip. Apple is reportedly looking to outsource the production of its A4 processor as well as the next-generation ARM Cortex-A9-based A5 processor to Taiwan Semiconductor Manufacturing Company (TSMC), according to industry sources. According to Digitimes Research, the iPad 2 will support an enhanced version of the A4 and the A5 will power the iPhone 5. TSMC will initially produce the improved A4, and could likely become the exclusive manufacturer of the A5.